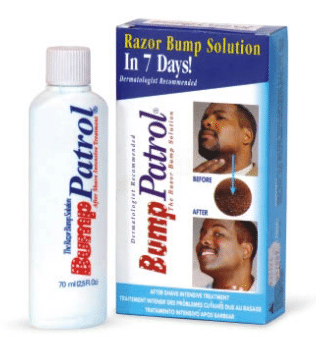 What causes razor bumps? Get insights on how to get rid of shaving bumps fast, on face, legs, neck, arms, and down there. Shaving bumps are caused by hairs that either never make it out of the follicle as they regrow after shaving, or hairs that twist around and re-enter the skin as they develop. 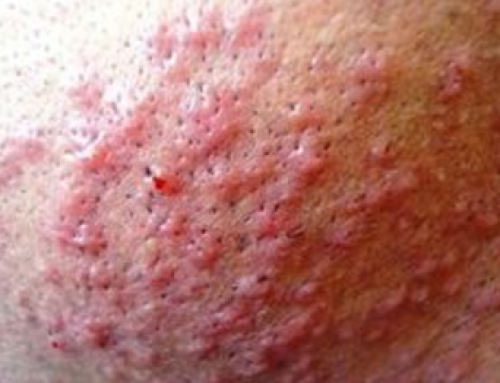 This causes red bumps and pus-filled pimples. 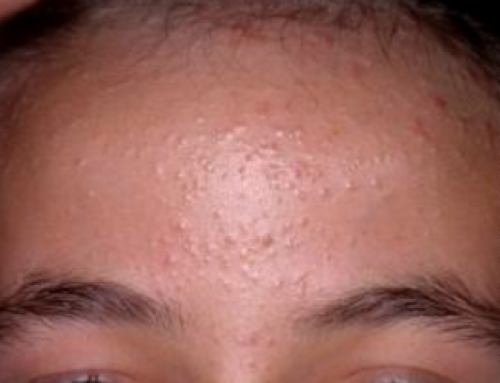 In medical terms it is regarded as Pseudo folliculitis barbae. The effect can result to persistent inflammation that can cause other infections like pimples and scarring on the skin. 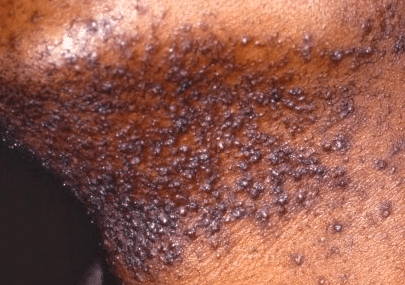 Although there are techniques on how to get rid of shaving bumps, this condition is prevalent among many people. When the razor blade is brought too close in contact with the skin while shaving this kind of irritation can take place afterward. Shaving makes the end cut side of the hair to become sharp and will pierce the skin while growing back. People with curly hair are prone to razor bumps. During the growing back process, curly hair tend to curl back in the skin hence causing ingrown hair and bumps. 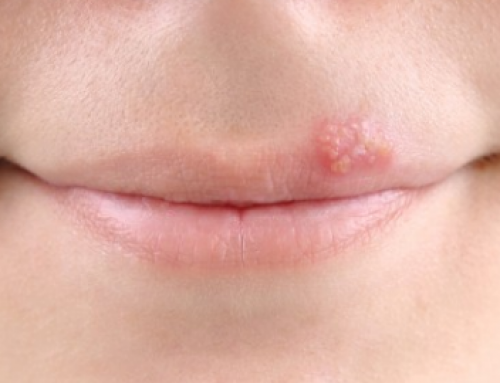 Pimples will start appearing and skin irritation. Straight hair on the other hand grows directly out of the skin hence minimal chances of razor bumps. When the hair follicle is damaged while shaving, it gets infected by bacteria and fungus. This will cause razor bumps which can advance to other conditions like the Folliculitis and Barber’s Itch. The use of shaving oil wen shaving helps in the prevention of razor bumps. The oil helps in both lubricating and providing a burier between the skin and the razor blade. The razor blade need to glide slowly and smoothly on the skin without getting in contact directly. Shaving oil makes the skin supple and soft hence comfortable and luxurious shaving. An effective shaving oil penetrates the skin in combination of moisture and makes it supple. Shaving brush is much essential in the process of shaving. It ensures sufficient moisture is applied on the area to be shaved hence softening the hair before shaving. This brush also helps in formation of a shaving lather and distribute it evenly on the skin before shaving kicks off. Mainly bumps are caused by doing a close shave. The badger brush raises the hair hence helping in the avoidance of pressing the razor blade too hard against the skin. The cream is essential in the cleansing and exfoliation while shaving. The cream or gel also act as a lubricant between the blade and the skin hence smooth gliding of the razor blade. 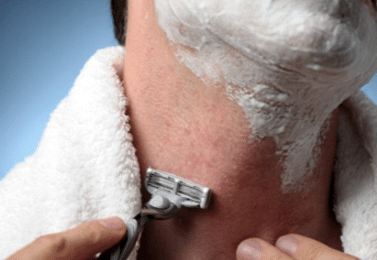 After shave cream prevents the razor burn in various ways. The skin needs healing after the shaving and exfoliation. The cream or lotion is responsible for this process. It also sooth the skin and makes it to relax. Some after shave lotions contain alcohol that may cause the skin to dry and crack. Such types are not the best to use and they should be avoided. Scrubbing the skin helps in removal of dead skin cells. This helps in reducing the risks of razor bumps as well. Showering with cold water helps in the opening of the pores hence making it easier for the pre-shave oil to penetrate. Rinsing with hot water after shave makes the pores to close hence preventing bacterial entry. Water for this case is such an important factor in the entire shaving process. Safety razor is designed to blend with the type of skin you have hence no side effects are observed. It has used as a technique on how to get rid of shaving bumps by many people. The best razor only have two or three blades of high quality and is effective in the shaving. Razors with many blades are not the best to use since they can cause the razor bumps easily. The blade should be cleaned after every stroke to remove the whiskers. Short strokes are the best while shaving since they minimize the chances of pressing the blade on the skin with high pressure. Avoid making long strokes since the effect is severe skin irritation. Always shave with the grain. The blade should be moved in the same direction as the hair growth. Shaving against the grain causes straining of the skin hence formation of razor burns. Avoid shaving same point severally as this will cause your skin to injure. Application of a moisturizer after the shave process. Moisturizer softens the shaved area and making the regrowth to happen smoothly without causing the bumps. Baby powder has various uses and one of them is to clear up rashes or dry skin. Initially, it was utilized to keep away diaper rash on children so it meets expectations extraordinary to keep away razor or waxing rashes also. It is incredible for various skin afflictions by applying a lotion from it and utilization it to clear up any kind of razor burn and numerous individuals swear by it for clearing up keratosis pilaris. You simply need to rub it onto the skin and let it absorb. If you notice red disturb bumps just after shaving, you can prepare an awesome paste from a couple of pounded strawberries with simply enough acrid cream to blend into a generally thick consistency. Witch hazel is an alternate cure-all that is extraordinary for skin issues. It has cooling properties that are incredible for dry skin or hair evacuation knocks. An incredible formula for utilizing coconut and sugar for a compelling scour. In the event that you have keratosis pilaris or you have a tendency to get razor or waxing bumps after hair evacuation, this extraordinary scour will help to mitigate the skin and it smells astonishing. Dabbing the skin with a cotton ball absorbed an answer of 1 mug water and 1 tbsp. of baking soda to soothe razor knocks. Permit the mixture to stay on the skin until dry, typically around five minutes, and wash with cool water. An obsolete home solution for razor bumps is baking soda. These oils can alleviate and treat razor bumps and razor blaze. Proposes applying lavender, chamomile or calendula key oil to dispose of razor knocks since they have calming and mending properties thus these key oils decrease redness and aggravation on the skin’s surface. You simply need to rub some oil on the influenced regions and it will help to saturate the skin and clean those knocks up. On the off chance that you have a most loved salve, you can simply add a couple of drops to that or simply rub it on independent from anyone else after you have completed your hair evacuation method. It is known for its antibacterial properties, nectar might likewise help to treat razor bumps. These as assisted most people to stop wondering how to get rid of shaving bumps. It is an exceptionally compelling and simple approach to get moment alleviation from the blazing sensation brought about by razor bumps. It relieves the range and can diminish irritation. Also, it will help decrease redness and tingling, and in addition keep razor bumps from shaping. 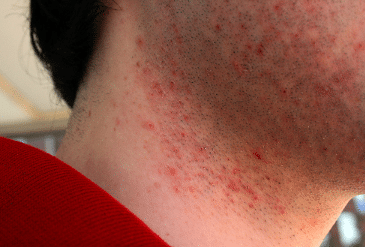 Razor bumps can be dealt with rapidly with apple cider vinegar. Its calming properties work to diminish aggravation and in addition the tingling sensation. Also, the acidic corrosives in apple juice vinegar aides forestall disease. It is an alternate simple and straightforward approach to dispose of razor smolder rapidly. The mitigating properties of headache medicine aides diminish redness and aggravation. It is an alternate extraordinary decision for relieving razor blaze. The alleviating and additionally cooling nature of Aloe Vera will issue you moment help from the smoldering sensation and aggravation. Aloe Vera will keep the skin saturated, which accelerates the mending methodology. The hydrating and calming properties of cucumber help manage razor smolder indications rapidly. Besides, cucumber contains vitamins C and K, two critical elements for assuaging torment and irritation. Shaving bumps can form on face especially on cheeks. They can be itchy and sometimes get infected. The neck area below the chin is the most affected by the shaving bumps for most people. When the bumps heals, they leave behind scars and a huge layer of dead skin which causes you a dark neck. This is to give shaving bumps a chance to heal & go away and if you must shave, use a Depilatory Cream or waxing for hair removal to prevent shaving bumps. On the shaving bumps to get rid of the redness, inflammation and the itching and once shaving bumps fade away, stop using the hydrocortisone cream because your skin may develop rashes if you use it too much. Such as Razor Bump Relief that have witch hazel & salicylic acid as the main ingredients help us find the solution on how to get rid of shaving bumps on face. Aloe Vera is a traditional remedy for helping soothe irritated skin. If you have an Aloe Vera plant at home, then snip off the tip of a leaf and squeeze the gel inside directly onto the skin to get rid of razor burn. Make use of a hot compress by soaking cotton wool in hot water and pressing it gently against your skin. The heat opens up your pores, allowing the trapped hair to become free. Lemon juice is naturally acidic and so helps to stop bacteria from colonizing ingrown hair follicles. Apply lemon juice to razor burn to help reduce redness and prevent infection. Witch hazel is a natural antiseptic that helps reduce inflammation in the skin. Apply it directly to your razor bumps to help reduce the redness and irritation. Here is another nice pre-shave remedy. Mix half a cup of oatmeal with a half cup of yogurt, and then add a few drops of honey. Combine the mixture thoroughly and apply to your neck before shaving. Mashed strawberries are great for inflamed and itchy skin. Just get half a cup of strawberries, mash them into paste, and add a bit of milk to get a thick pasty mixture. Once done, apply it to the shaved area for a few minutes, and rinse off. Here’s a great recipe for a pre-shave scrub. While coconut oil is good enough on its own, mixing it with other household ingredients can turn it’s effectively up a notch. This scrub uses four tablespoons of coconut oil, two to three tablespoons of brown sugar, and a tablespoon of honey. To reduce pain, the soothing properties of cucumber and milk can help tremendously. Simply, mix half a cup of pureed cucumber with one-fourth cup of milk and apply the mixture your neck. Rinse it off after ten to twenty minutes. Shaving can often lead to the development of unattractive, itchy and painful shaving bumps or ingrown hairs. These occur when hair follicles get infected with bacteria, which then cause redness and inflammation of the affected area. Don’t shave so often and let your hair grow out a bit before doing it again especially during winter so as to give bumps time to heal and use the razor every other day, at the most. Shave under the warm shower and rinse off with cold water since warm water will soften hairs and make skin less prone to irritation. Always use new and sharp razors. Dull razors will irritate the skin around the follicle and cause ingrown hairs. But apart from this, old and rusty blades can also carry great amounts of bacteria, which can be transferred to the skin during shaving. Moisturizing lotion reduces redness and irritation, and decrease the risk of razor bumps thus reducing the worries on how to get rid of shaving bumps that might appear on the legs. Instead of shaving in an upward motion, start shaving downward, in the direction of the hair growth and this will help prevent razor bumps. These can efficiently heal infection with a daily application of different over the counter antibacterial and antibiotic creams. Always consult your pharmacist before applying any of them. Witch hazel has antiseptic, anti-inflammatory, anti-bacterial and astringent properties, which help calm irritated and inflamed skin. Pour some witch hazel hydrosol on a cotton pad and wipe it over shaving bumps. Aloe Vera is also a good antibacterial and anti-inflammatory agent that helps soothe and heal skin infections and inflammations. Just apply a small amount of aloe Vera gel or lotion to the affected area and allow the skin to absorb it. This will help you get rid of shaving bumps pretty fast. When it comes to home remedies for shaving bumps, few solutions can rise up to what aloe Vera can offer. In addition to healing your skin, this substance that is used in many creams and treatments deal with skin infections and inflammations, namely shaving bumps. Due to its antiseptic and antibacterial properties, tea tree oil is highly useful in preventing and treating razor infections, burns and bumps. A very good solution to shaving bumps is antibiotic and antibacterial creams. Applied on a daily basis, these creams can work wonders for your skin. It has been proven that hydrocortisone creams can help reduce redness and swelling. A good hydrocortisone treatment soothes irritated skin, alleviating that annoying itching and helping you get rid of razor bumps once and for all. Cold compresses have been found extremely effective at getting instant relief from that burning sensation. When you apply a cold compress, it soothes the inflamed area, preventing shaving bumps from forming. Even though this might seem the exact opposite of the previous tip, applying heat on shaving bumps for 5 to 10 minutes will kill any germs that might try to find their way under your skin. Use a hot compress or a clean wash rag soaked in hot water and you will definitely be able to fight shaving bumps. You want to make sure you will get rid of shaving bumps overnight; apple cider vinegar is probably the best solution. Its anti-inflammatory properties are amazing at reducing the itching sensation and any sort of inflammations. To top it all, the acetic acid in this substance helps to prevent infection. Many people who have put cornstarch on their razor bumps for about 20-30 minutes have noticed outstanding results. You might want to try this method and enjoy a face free of shaving bumps. Pubic area also get affected by bumps if shaving is not done correctly. The most annoying thing is when the bumps become itchy and painful. This gives discomfort while walking and you can feel embarrassed when you feel like scratching the area in public. Shaving close to your skin causes it to get irritated by the sharp edges of the razor. Tight pants prevents free air circulation to your private areas. It also causes too much heat to get trapped hence causing heat bumps. Therefore loosely fitting pants are ideal to avoid razor burn. Shave in the same direction of the hair. Make strokes parallel to the growth of your hair. Doing it opposite will hurt your skin and eventually triggering bumps which are itchy and painful. Take shower if possible twice a day especially is you have stayed in hot dusty open air environment. This helps to remove dust and debris deposited around the pores. This technique on how to get rid of shaving bumps also helps in preventing bacterial and fungal infections. Apply a moisturizer after shaving. This helps to soften the skin hence making it easier for hair growth to take place without coiling back to cause pubic ingrown hair bumps. It has anti-inflammatory properties that help to reduce the inflammation and itching caused by razor bumps, while fighting the bacteria that can cause an infection. This is an instant remedy when it comes to shaving bump treatment. It softens the skin and cools down the burning sensation caused by shaving bumps. It helps to reduce the inflammation and has a calmative effect on the affected area. Aspirin has anti-inflammatory properties that help to reduce the redness caused by razor bumps. Dissolve two tablets of aspirin in about one tablespoon of lukewarm water. Once the tablet dissolves, rub the paste on the area that is affected by razor bumps. Honey has antibacterial properties and is used to cure many other skin problems, like acne and dry skin. It also helps to reduce the redness and swelling caused by razor bumps. Honey is not only best on how to get rid of shaving bumps but also cleansing the skin making it to glow. Yogurt also has antibacterial properties that can help in reducing inflammation and swelling. Simply, mix one tablespoon of plain yogurt with 1½ teaspoon of honey and apply on the affected area. Black tea contains tannic acid, which helps in reducing the inflammation and redness. Simply dip a tea bag in some hot water for a few minutes. Remove the tea bag from the water and place it on a dish. Rub the cool tea bag on the razor bumps for three minutes. Do this several times in a day for quick relief from razor bumps. Baking soda has anti-inflammatory properties that help in soothing the skin. It also helps in reducing the itchiness caused by the shaving bumps, especially in the bikini area. It also helps in reducing the itchiness caused by shaving bumps. Avoid aftershave products that contain alcohol. Seek medical advice for non-healing razor bumps. Avoid direct sunlight for some time immediately after shaving. The shaving room should be well lit and equipped with mirrors. 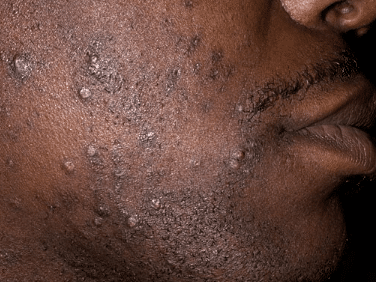 CAUTION: Some of the techniques and ingredients on how to get rid of shaving bumps discussed above can be causes skin allergic reaction. If that happens to you, discontinue the treatment and seek further medical attention from your doctor.